Most of you have probably heard of oregano before, which is the strong-smelling stuff that you put on your pizza. However, many people are not aware that it has many amazing health benefits, is nature's antibiotic, and comes in the extracted form of an oil. Oregano oil is a natural substance that is extracted from the oregano plant by distilling the leaves and flowers with steam. Oregano oil has many health benefits that the vast majority are unaware of. When I first discovered oregano oil and had gotten to know it, I was so shocked that I did not know before how beneficial this oil is and how I had not discovered it sooner. Recent studies state that it has shown the ability to prevent cancer and kill cancer cells, raise your immune system, help with cholesterol.. etc. Well, look at some of the benefits listed below for your convenience. It is a natural antibiotic that kills unwanted fungus, bacteria, yeast, parasites and viruses. It is known to relieve digestive problems when taken in small amounts as it stimulates the flow of bile and can treat gastrointestinal infections. Oregano oil is known to boost your immune system when two drops (90% concentration) are taken per day. It can be used to treat acne or little problem areas. You can either dab a bit of oregano oil on a pimple and you should see a reduction in swelling and redness. It may burn a little bit, but that fades away in approximately 30 seconds. You can mix oregano oil with other oils (preferably olive or almond oil) and use it for your face to prevent breakouts and reduce redness. It is a strong antioxidant, which can help improve your overall health and tends to give your skin a healthy glow. It can get rid of warts within a week. Apply some oregano oil to the wart and keep a bandage on top of it. Keep applying oregano oil everyday and the wart should be gone within a week. It is a natural pain killer. If mixed with olive or almond oil, it can be applied to muscles to alleviate cramps. Oregano oil can be used as a pain killer for women with massive menstrual problems. Take two or three drops a day (in orange juice preferably) and it should alleviate cramps! Can be used as a mosquito repellent when mixed with olive oil! Where to find Oregano oil? 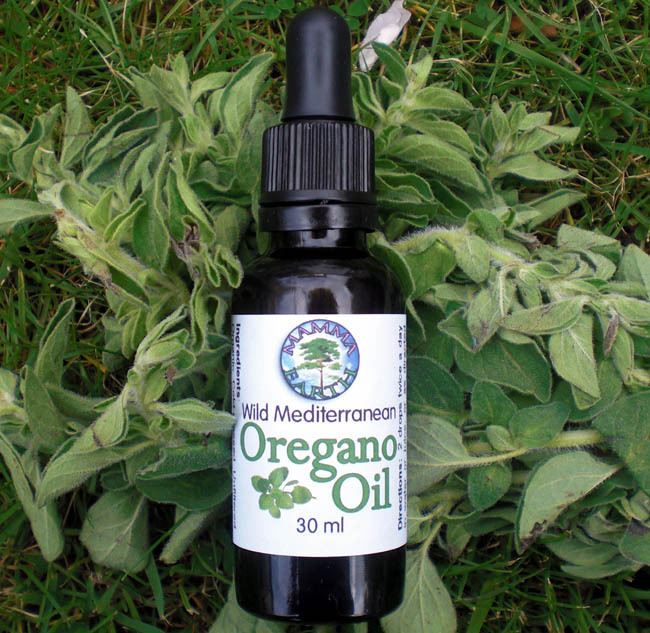 Oregano oil can be found in any nutrition and health store. But for best effects, be sure to buy a 70% or higher concentration of oregano oil. The stuff with lower concentration may be cheaper, but it is not as effective. TIP* If taking oregano oil regularly, it is best to increase your iron ingestion, as oregano oil may reduce the body`s ability to absorb iron. Nevertheless, this is not a serious side effect and the health benefits of oregano oil are very much worth it. Oregano oil should NOT be ingested in large doses, and can cause liver or kidney damage if this is done. Normally 2-4 drops of oregano should be ingested per DAY, and is best to stop this treatment after two weeks, take a two week break, and continue on and off like that for best results. It is best to dilute oregano oil with almond or olive oil before applying onto skin in large quantities. Pregnant woman should AVOID using oregano oil because it stimulates blood flow in the uterus and weakens the lining. If you experience any problems while using this oil, such as rashes, nausea, dizziness, swelling etc. Discontinue use and see your doctor. You may have an allergy.